Before you spend entire paycheck on a fancy new push lawn mower (or overpriced riding mower), first be sure to consider just how practical it is to you. Just like any big purchase, it’s important to do some research beforehand in order to get the best value. The following are some tips that will help any novice when dealing with their first mower purchase, and get your summer off to a great start. 1 What Should You Look at When Buying a Mower? 2 What Type of Push Mowers Are on the Market? 3 What Are the Advantages? 4 What Are the Disadvantages of Each Mower? What Should You Look at When Buying a Mower? Many types of mowers exist, and it can be easy to buy the wrong one. For example, you may really like that big mower, but those are meant to mow football fields, not your front yard. In general, there are a few things to consider when purchasing a mower, such as affordability and the longevity. As some mowers can be more difficult to maintain than others. What Type of Push Mowers Are on the Market? Generally, there are three types of push mowers on the market. The most common is the gas-powered mower. Then there are the electrical push mowers. They come in two varieties; cordless with a battery or without a battery but with an electrical cord. All three have their own unique advantages and disadvantages. Gas powered mowers have the advantage of lasting longer and are more affordable. They will only last if the user maintains them throughout their lifetime. Electric mowers are easier to start, and the user only needs to press a button. Many electrical mowers also have different levels of speed and even include a “quiet” mode. The added benefit of the cordless mower is that you are not tethered to the wall. However, electrical push mowers require less maintenance in the long run. What Are the Disadvantages of Each Mower? The gas-powered lawn mowers require fuel, and regular tune ups, or they will break down. They also require the user to pull a cord in order to start it, and sometimes the mower doesn’t want to cooperate. Most of us remember the dreaded rip cord. Even though electrical mowers require less maintenance, they can cost more than gas-powered ones. They can require a rechargeable battery or for the user to be tethered to an outlet. The latter is not ideal for someone with a larger yard. The best push lawn mower will depend on factors such as affordability, longevity and the size of the yard you plan to mow. For example, to get a cordless electric mower for a very small yard would be pointless when a corded mower, which are cheaper, and can do the job just as well. I have a small yard that shouldn’t take long to mow. I think a cordless electric mower would be great. I like to mow the lawn early in the morning, so it’d be nice to get a mower with the “quiet mode” you mentioned so that I don’t wake up the family. I want to make sure that I get the right lawn mower for me. It makes sense that I would want to ensure that the one I get is the proper size! It would be annoying to have one that’s much too big to maneuver the curves in my lawn. My favorite part of this article is when you talked about considering the maintenance needed when buying a lawn mower. It makes sense that taking the time to learn about this can help anyone make sure they get a machine that will last and cut their grass properly. Personally, I would want to consult with a professional and have them help me find a mower that will not break up as soon as I get it. I appreciate all of your advice about choosing a lawn mower. This is our first home and we’ve never had to mow our own lawn, so all your advice is going to help us a ton. That is a good point that gas mowers are a bit more affordable and have the reputation to last longer. We’ll keep that in mind as we search for the best one for us. I recently bought a home that has a yard and I need to buy a lawn mower, but I have never purchased one before, so I am glad that I found this article. It is interesting that you say there are different starting systems on a lawnmower and that an electronic system is typically the easiest to start. 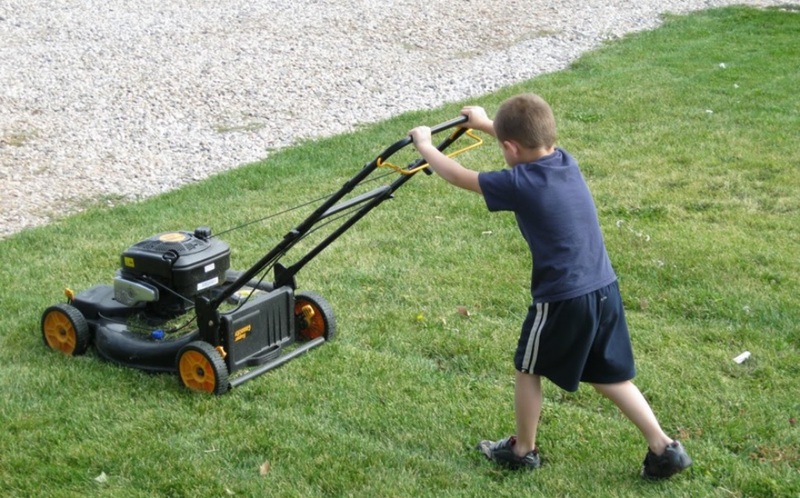 I think that an electronic system that is as simple as pressing a button to start the mower would be a huge benefit because it will be simple enough for my kids to use and help mow as well!